Actually, the Torah has many purposes—blessings! The Scriptures reveal that the Torah is much more than a list of dos and don’ts as many people have been led to believe it to be. The Torah defines what sin (1 John 3:4) and righteousness are (Ps 119:172). The Torah shows us what YHVH expects from man (Deut 10:12–13). The Torah convicts man of sin or lawlessness and brings us to Yeshua by way of the cross (Gal 3:24). The Torah brings temporal and spiritual rewards; life and blessing when followed; curses when disobeyed (Deut 28; Matt 5:19). Obeying the Torah helps deepen a loving and intimate relationship with YHVH-Yeshua and helps us to abide in Yeshua (John 14:15; 1 John 2:3-6). Obeying the Torah helps us to stay spiritually pure (1 John 3:3-6). Obeying the Torah protects us from the influence of the devil (1 John 3:8). The Torah provides a framework for divine justice or judgment (Deut 17:11; John 12:48; Heb 4:12 cp. Rev 1:16; 2:16; 18:15, 21). The Torah forms the basis for the jurisprudence system of civil government (Deut 17:11). The Torah is heaven’s revelation of divine grace. It reveals how sinful man can be reconciled to a righteous Elohim; it reveals the path of redemption or salvation from slavery to sin through the idea of substitutionary sacrifice. This all points to Yeshua the Messiah, the Redeemer or Savior of the world. The Torah reveals the concept of covenant between YHVH and man involving YHVH’s chosen people—the nation of Israel. The Torah will guide and keep us on the path of righteousness and lead us into YHVH’s everlasting kingdom and spiritual divine family. It acts as a protective guardrail to keep us on the road leading to eternal life. It keeps man from falling into the spiritual ditches or off the spiritual cliff along the side of the road of life. 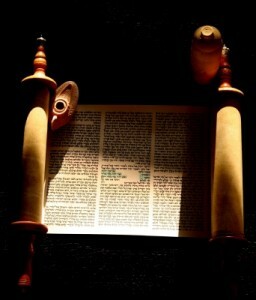 The Torah is our light in a dark world; the answer to life’s questions and dilemmas (Ps 119:99, 105; Prov 6:23). Through Yeshua the Living Torah, the Torah helps us to become the person that YHVH wants to live with forever. It prepares us to be the spiritual bride of Yeshua (Rev 19:7–8). This entry was posted in Scripture and tagged Torah by Natan Lawrence. Bookmark the permalink. HalleluYah! May YEHOVAH ELOHIM bless you and keep you!